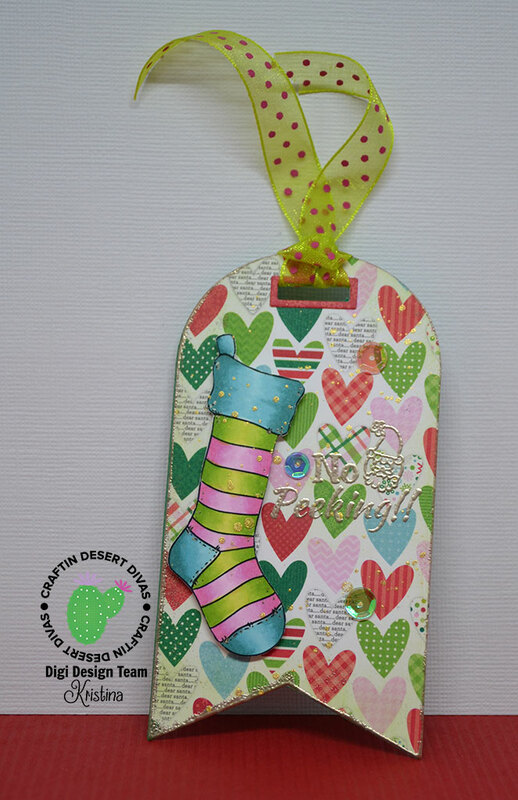 I blame Craftin Desert Divas for having SO many adorable digital (and clear!) stamps. Yep, that's my excuse. I couldn't help myself so I had to make *3* projects to share with you. I may have a CDD problem. LOL! My first attempt at a spinner card using the Santa Stocking digi. I need to practice my photography skills for spinner cards! 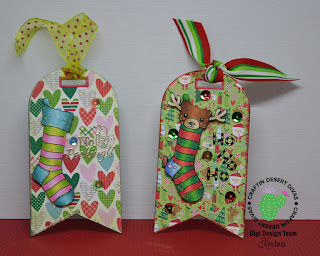 A tag featuring the Reindeer Stocking digi. 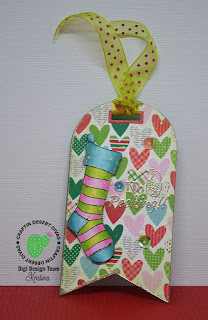 And another tag but this one features the Christmas Stocking digi. And the two tags together. All of the images were colored using Copic markers.